This house comes with and accommodates a Kitty Lectro-Soft. 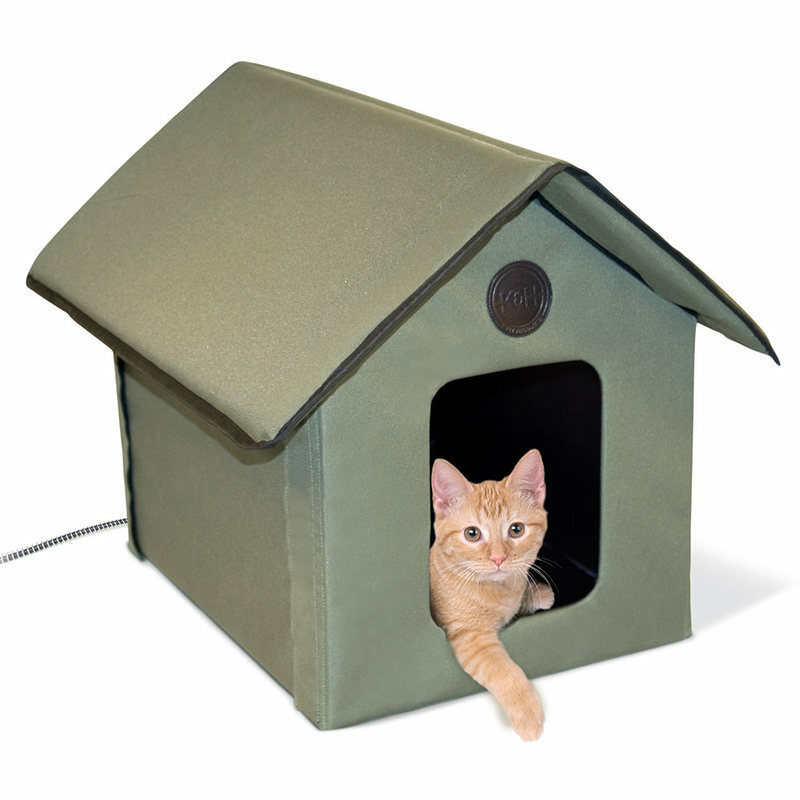 The roof hangs over the 2 doors to keep cats warm, safe and dry. 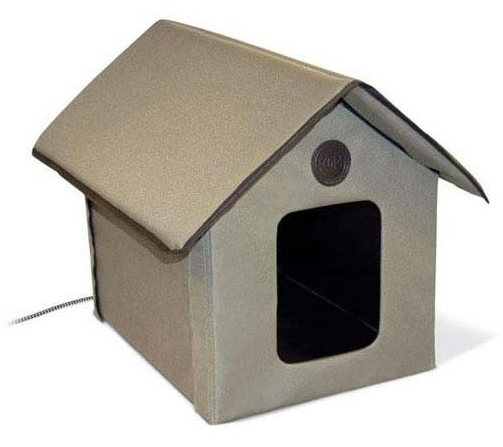 Easy to assemble with hook and loop fastener walls and a zippered roof. MET listed. All K&H heated products are thermostatically controlled to heat to 102° F, regardless of the size. Dual thermostat simply means there are two internal thermostats that will keep the surface of the bed at 10-15° F above ambient air temperature when your pet is not on the bed. When your pet lies on the bed, it will warm to about 102° F.
Perfect for any outdoor cat. Sleeping Dimensions: 14" x 18"
Dimensions: 22" x 18" x 17"